Today was Stake Conference, but we overslept. It was another beautiful day, 70 and sunny. Probably one of the last we'll see for a while, so we packed it up and headed out to Palisades Kepler. 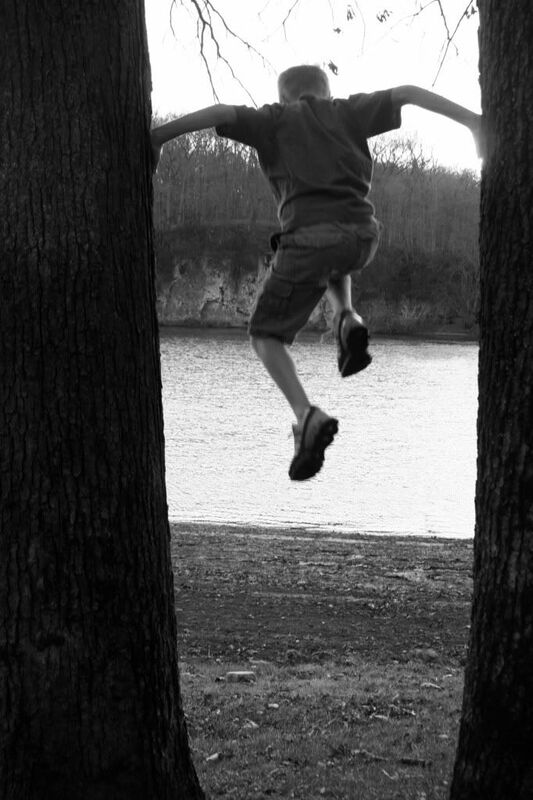 We did some light hiking and the kids enjoyed climbing some trees. I'm really wishing I had that anti shake lens about now; could have made a difference with this photo. We didn't oversleep but, we didn't make it to conference either. How could you not be enjoying this weather, it has been SUPER!